Racers I am putting this out NOW and will continue to remind thru out the season so everyone can make there plans. THE intent of this event is to have racers from across the US come together from the everyday racer to the National Champions from across the US and Canada. Look at it as a world finals so to speak. 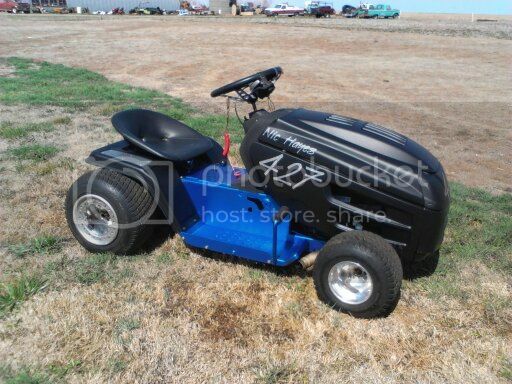 IT doesn't matter what group you race with what club what your mower build is. IF you are a champion whether of your local track/club or of the National level and you plan on attending this event, LET me know come race day You will receive recognition as such. I am working on sponsors for door prizes longest distance traveled and things like that. There will be other special awards earned over the weekend plus all the racing. SO put it on your calenders Someone in each class will go home an AMERICAN RACING Mower Champion. Below is all the details. SO MARK them calenders now most seasons are over you have no excuse not to attend one of the largest if not the largest event of the year for mower racers. 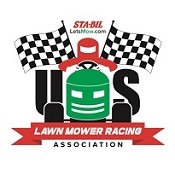 November 15/16th - Savannah Valley Speedway All AMERICAN MOWER CHAMPIONSHIPS. This is an open invitational type event. ALL champions from all sanctioned divisions and for that matter any racer regardless of build or sanctioning body are invited. First time ever two day event racers from all walks of life all classes everywhere coming together for one big event. More details to come. Open Invitational. All sanctioned body champions invited regardless of your build. Everyone will race. Depending on mower turn out we may create other classes to accomodate. All Sanctioned classes 2008 ARMA rules apply. 1. Every driver must wear an automobile racing or motorcycle-type full-face helmet approved by the U. S. Department of Transportation or the Snell Foundation. 2. The helmet must fit snugly and be securely buckled when driver is on the track. 3. Goggles or a face shield are required. Glasses are not adequate protection. 4. All drivers must wear long pants, long sleeved shirt, neck brace, full-fingered gloves and leather over the ankle footwear on the track. Chest protectors and other anti-abrasive suits are highly recommended. No loose clothing on the track. 1. Mower must use lawn mower 4 cycle motor. 2. Must have brakes that work. 3. Must have a commercially available working tethered kill switch. 4. No sharp or protruding unsafe sheet metal or objects. 6. Must use pump or race fuel no alcohol or methanol. FRIDAY EVENING... time permitting we may open track for practice.. More on this later. SATURDAY - Racers will participate in practice by class. Each class will grid up and go out together. Each class will pull a ball for initial grid start positions. Two 15-lap heat races will be run per class. First heat race will be lined up per draw. Second heat race will be set by the finish order of first heat. BUT that finish order will be a complete invert. Then Sundays Feature event will be grid by averaging your two heat finishes. This means you cannot sandbag you must do the best you can in both heats. Depending on amount of mowers that turn out there is always the chance we may have to run 2 features an A and a B feature. Wonâ€™t know this till race day. After the races we will all bench race and eat and have some fun. SUNDAY â€“ No practice, Featureâ€™s will be 30 laps except for stock classes. They will run 4 lap heats and 6 lap features. May the best racer win. Every one is welcome to camp on site however there are no hook ups. The track address is 10516 HWY 58 Ooltewah, Tn 37363. HOTELS ARE LOCATED OFF EXIT 27, NOT EXIT 11. The Southern Outlaw Crew Will Be There. "It Ain't Braggin if ya can back it up"
It's already on our calender. I have raced this track before and it is awesome.You won't be dissapointed! You rite about that I won the last time we went. At this time no. Doesn't mean it won't happen but as of right now NO...There will be no race/pit/entry fee's to the racers unless they are not ARMA members and want to run the sanctioned class races. They must be ARMA members. Run with the best or run with the rest. Definitely trying to make this event!! If I can get some of them Outlaws to split fuel cost. Haven't told the wife yet, so if this is my last post it's 'cause she decided I have gone completely mower crazy and had me locked up. Come one come all.... Everyone is welcome and everyone is invited. Two days of racing.... 2 rounds Qualifying heats on Saturday, Saturday night we will sit around the BON Fire and bench race, roast hot dogs and what have ya. FELLOWSHIP. No race fee's. Anyone racing the sanctioned classes must be an ARMA member, which can be done at the race during registration. Then if that ain't enough you can enter the outlaw races also. We will run two classes of outlaws Single Cylinders and Twins. Driver and TWO will get into the pits free. All others will pay a 5 dollar pit entrance fee. Someone will go home crowned an ALL American Mower Champion in each class. Counting the 2 outlaw classes we will have 11 classes of racing. Last year we had 7o something mowers. This year I expect it to be even bigger. Track will be smooth and fast with 210 foot straights. Track will be smooth and fast with 210 foot straights. The Hard Case Racing boys will be there with two Super Stocks and two Super Sportsmans (maybe a Mod-X too). We want to see how the Big Kohlers stack up with the Indians. With staights that big we can see just how tight they'll wind. So every one is welcome to race? Regardless of the set up? NEVER DOUBT YOURSELF!!! .....................ANYTHING is Possible. 6. Must use pump or race fuel no alcohol or methanol or NOS. Dang, that puts me out of the race for the outlaw. But I'll have the sportsman done by then.